I get asked to attend all sorts of events at all sorts of times and, this one being on a Monday (29 September) at 6.30, and at a school, meant I could take my two children (now called the Deputy Mayorettes) who had been complaining they hadn't been to anything for a while. I was asked to come and see the opening of the new sensory room at The Ridgeway Primary school. 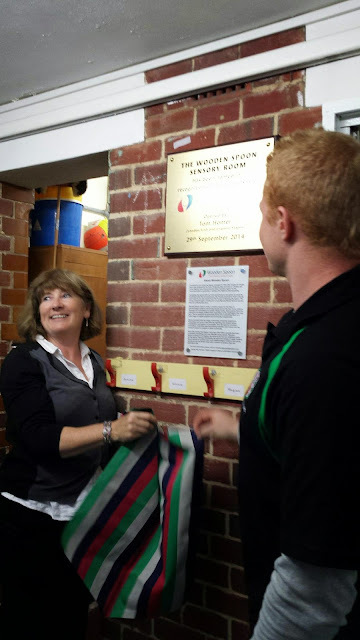 The room was opened by Tom Homer, who plays for the local rugby team, London Irish. 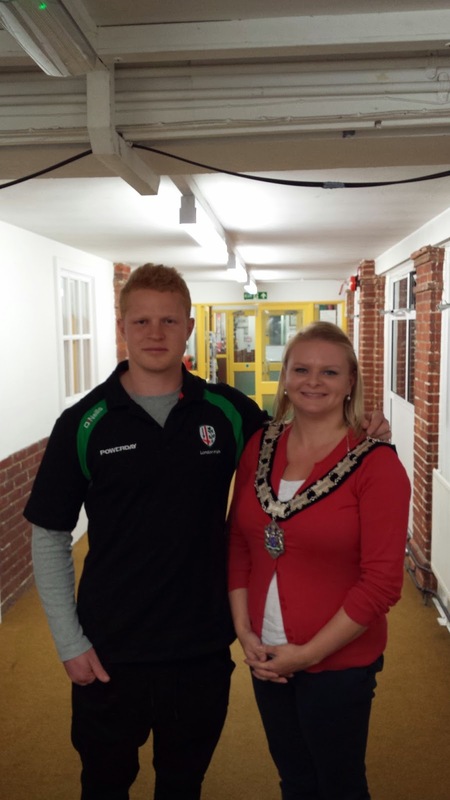 Why a rugby player you may ask? 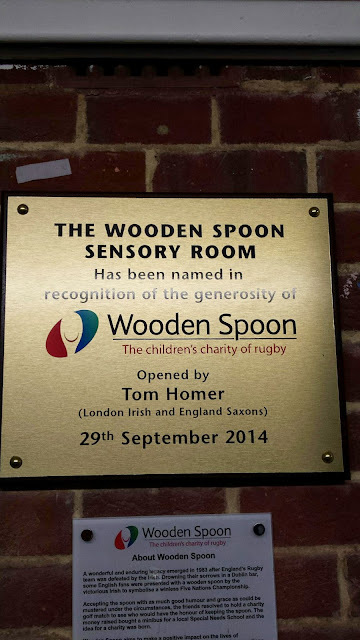 Well, the sensory room was funded by the Wooden Spoon - the charity of British and Irish Rugby supporting mentally, physically disadvantaged children through capital based projects. You see, it makes sense now. Wooden Spoon have been working with schools withing the Whitley Excellence Cluster to deliver various projects, this being one of them. 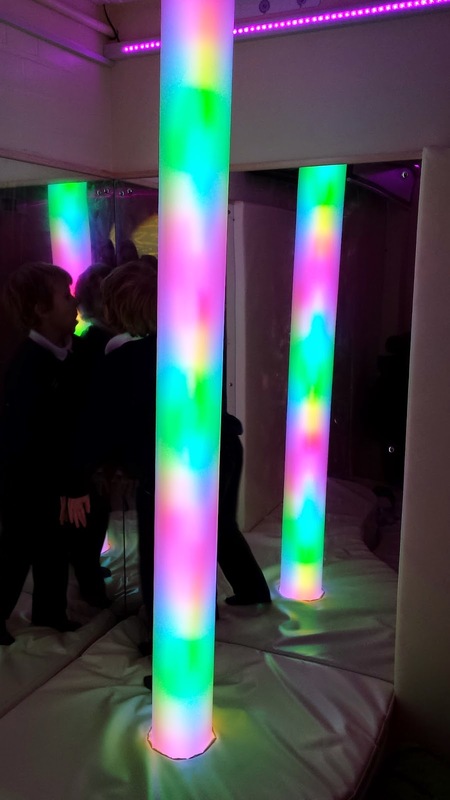 Sensory rooms can be hugely beneficial to all children, especially those with sensory, physical or communication difficulties and I'm sure it will improve the lives of many.